Natural cosmetic waxes provide structure and texture to cosmetic products including balms, creams and lotions. Beeswax is one of the most widely used natural waxes in the skin care industry. Beeswax is soft and pliable, and it offers emollient and nutritive properties for the skin. Floral wax is a solid, fragrant, creamy wax that remains after a concrete has been washed with alcohol to extract the absolute from the botanical material. Floral wax makes a divine, exotic addition to creams, balms and lotions, and it lends thickness and a beautiful aroma. Floral wax can also be melted and combined with vegetable oil to create a delightfully aromatic, solid perfume. 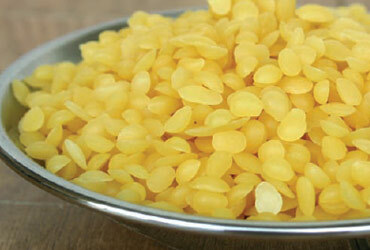 Praan Naturals is also able to supply high quality carnauba, candelilla and rice bran waxes. Please inquire for more details.